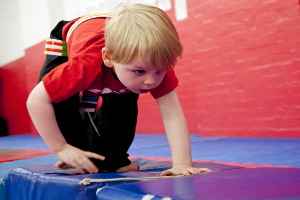 Three to four year olds love physical activity and anything involving play. They have a rich imagination and strong desire to be less dependent on their usual caregivers. The problem we discovered is that many children this age have a hard time with structure in a group environment like what is commonly found in most Martial Arts schools. The solution we found is to provide them with their own program that targets their stage of development in a manner that keeps them entertained while at the same time building skills that set them up for success. IT'S MORE THAN KICKING AND PUNCHING..
With that said, a structured program introducing early skill-based training in martial Arts has proven to be very successful. Some of the Skillz that the 3-4 Years Learn!